» Where Do Squirrels Live? Where do squirrels live? The correct question to ask is where don’t they! Squirrels can be found on just abut every continent and in a vast range of habitats. From trees to the ground, from the rainforest to Siberia – all of these places have at least one squirrel species living there. To answer the question, it may be a good idea to look at the different species and learn a bit more about the places that these call home. There are only two continents where squirrels can’t be found. One of them is Antarctica and the second is Australia. Every place that has a forest or some trees can potentially become a squirrel habitat. Some squirrels prefer coniferous forests, others live in mixed or deciduous forests. Depending on the place and the climate, the squirrels can have thinner or thicker fur. The environment will also affect the types of dens and nests that they make. Grey and red squirrels are two of the most common species in North America and the ones that people typically think of in connection to this type of rodent. 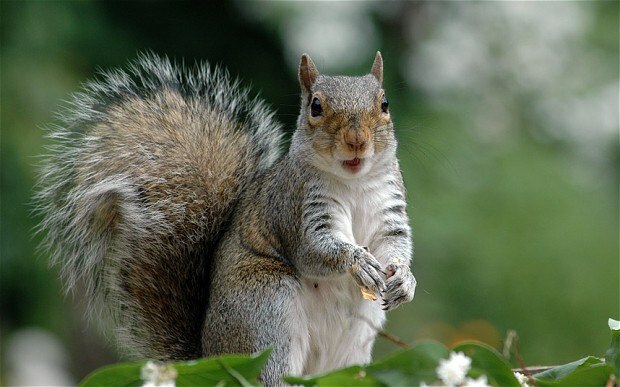 Grey squirrels were originally found in North America. Later on, they were introduced to Europe. These squirrels are known for their dense coat that is silver to grayish in color. In the summer, grey squirrels turn brownish. These curious little creatures prefer deciduous forests but they are sometimes found in urban areas, as well. The squirrels eat nuts and seeds. Some of their most favorite snacks include acorns, hazelnuts, tree bark, beech mast, shoots and flowers. These dietary preferences determine the places where red squirrels usually live. The American red squirrel is another popular species. The red squirrels are usually much smaller than other species. Their fur is very red, much darker than the summer brownish coat of the grey squirrel. Red squirrels are most commonly found in the Neartic region. They can be found on the entire North American continent but the species is entirely restricted to forest habitats unlike grey squirrels, red squirrels can’t be observed typically in urban settings. Some red squirrels can even be found in the coldest regions of Alaska. The type of habitat they prefer is a pine forest. Red squirrels are an inhabitant of the Rocky Mountains and their habitats can extend to altitudes of up to 2,500 feet! Depending on the conditions, red squirrels can live in other types of forests, as well. In the absence of pine trees nearby, they’ve been noticed settling in deciduous forests. Flying squirrels aren’t really capable of flying. They have a fleshy membrane that enables gliding. These squirrel species live in several parts of the world. Flying squirrels usually come in two popular species – northern flying squirrel and southern flying squirrel. The name sheds some light on the place where each of the respective species can be found. Northern flying squirrels are very common in North America – both in Canada and the US. Southern flying squirrels inhabit the eastern parts of the US, Mexico, Honduras and Guatemala. Though these are the two most popular flying squirrel species, there are several other types. Siberian flying squirrels, for example, inhabit the northern parts of Europe and Asia. Unfortunately, deforestation (particularly in Siberia) and a habitat change have led to a rapid decline in their population. The final squirrel family representative that we’ll take a look at is the ground squirrel. Unlike its relatives that live high in the trees, ground squirrels prefer to dig and create their burrows under the ground. They often inhabit lawns and open spaces that are free from trees. Ground squirrels are prominent throughout North America. Originally, they were confided to the prairie region. Today, the population has grown and its habitat has expanded. Ground squirrels can be found in the eastern parts of the US, as far as Ohio. The most typical habitats are open areas that feature short to mid-sized grass. Ground squirrels look for places that are characterized by good soil drainage. This is one of the main reasons why they’re often found in areas that feature sandy soil.